An interesting photo, showing the Tibetian flag in 1938. It was made by German Ernst Schäfer expedition. Original capture: "Lhasa, die Neujahrsparade des modernen Militärs vor dem Potala" (Lhasa, New Years Parade of modern military in front of Potala). This indicate the military use, not the use as national flag. 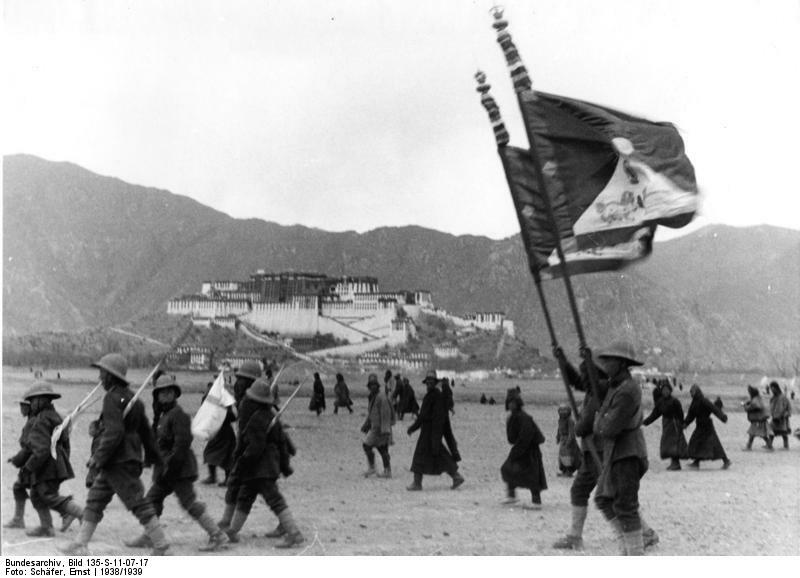 According to the historian Melvyn Goldstein who quoted Phüntsog Wangyal, a former communist Tibetan cadre, before 1959 the flag now used as a national flag by the Tibetan exiles was then only used by the Tibetan military. It wasn't flown on official buildings.